As many of my commenters know, I am a Cathy Marie Hake devotee. I met her just over a year ago at the 2008 ACFW Conference here in Minneapolis. We were discussing her books and how book sales were going. That's when I knew Cathy on a level not as an author, but as someone desiring for all who read her books to know the Lord. With tears in her eyes, she told me she could care less if another book sold as long as just one person picked up one her books and came to know the Lord. The sincerity she showed was just precious to me and something I will always carry in my heart. That Certain Spark brings the reader back to Gooding, TX and with it, two new residents. Two doctors have been brought in by the town, on a veterinarian, the other a physician. Somehow, it was missed that Taylor, Gooding's newest physician is a woman. Back in the day, that didn't go over well. Her twin brother, Enoch, stood up for her and threatened to leave if they didn't accept her as well. The townfolk aren't sure they want a woman doctor, but they want Enoch to stay. The Mayor decides that within 30 days Taylor has to have a majority of names on a list to stay on as Doc Bestman. This book isn't as lighthearted as most of Cathy's other books. The story is fantastic even though the characters take on a more serious tone. I loved the banter between Karl, the blacksmith, and Taylor. Neither would let up on the other. Enoch's devotion to his twin sister is strong. He is willing to leave Gooding to find somewhere else to practice vet medicine if it means his sister can work as a doctor. Enoch also finds that his heart has been taken, and very quickly by a single mom in town. Will Gooding's men ever be able to accept a woman doctor? Will Taylor ever feel safe without Karl watching over her? Even though That Certain Spark has characters from past Gooding, TX stories, this is a stand alone novel. It won't ruin the stories in the other novels Cathy has written, but I would highly suggest reading all of her other novels. Cathy by far has been one of my favorite Christian authors. It is not easy parting with this book. Merry Christmas! Cathy Marie Hake is a registered nurse who worked for many years in an oncology unit before shifting her focus to perinatal care. The author of over twenty novels, she lives with her husband and two children in Anaheim, California. 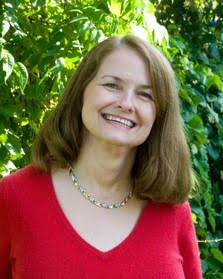 Visit Cathy's Web site at http://www.cathymariehake.com/. Answer this question: Do you like historical fiction and if so, who is your favorite author? Leave your email address in your comment! No email = No entry Must be at least 18 yrs old and a US Resident. Giveaway ends 12/18, 10 pm CST Void where prohibited. I'd like to thank Jim at Bethany House Publishers for sending me my review copy. Head to Bethany House Publishers to purchase this and any of their other books. You can also sign up for newsletters and find out when certain author's next release is coming out. Check out their New Releases, Coming Soon, Award Winners and Best Seller tabs on their homepage! I love historical fiction! For me, it is a great way to escape from the modern life and its busyness. I know there was a lot of hard work back then, but it seems like life was a little more simple. I'd love to entered into the draw! Oh this sounds really good! I LOVE historical fiction so much so it's really hard to pick a fave author but I would have to say this year my two faves are Julie Lessman and Mary Connealy! Their stories have great messages as well as some great humor and romance, which I just happen to look for when I'm reading! I would have to say the Eugenia Price is my favorite historical writer. Based on the Civil War and earlier, it follows the Cooper family, who were real In fact, I read a book on the Cooper family after reading all her books in the series. Women Drs. had a very difficult time breaking into a 'man's' world. This sounds like a great book. Please enter me. Cathy Marie Hake is on my list of authors to try, Mimi, and your review makes me eager to read her books. I have no idea why, but I really enjoy historical fiction, particularly during certain eras. One of my favorite authors is B. J. Hoff, but I've recently discovered another who is at the top of my list: J. M. Hochstetler. Daughter of Liberty, #1 in her American Patriot series, is one of the best books I've read in a long time. The American Revolution is my favorite historical period, and Joan's book has vivid history, great storytelling, and an incredible romance. Obviously, I highly recommend it. Thanks for the chance to win what looks to be another entertaining historical. I love historical novels of most anykind, and I have so many favorites, but to choose one I'd have to say Liz Curtis Higgs. Please enter my name in your giveaway. I'd love to win a copy of Cathy Hake's book. It looks wonderful. Thank you! I would love to read this book by this tender-heart-for-the-Lord author! Please enter me! I love historical fiction although had gotten away from reading it for many years. It has only been recently that I have started reading christian historical fiction. My favorite author used to be Willa Cather. Lauraine Snelling is one of my all time favorite authors. She has some really great books that are what I would call historical fiction. I would really like to read this book too. If I don't win, I will look this book up soon. Thanks for this great givaway. Would love another good read. I will have to check her books out. I love historical fiction. My favorite author would probably be Philippa Gregory. This looks like a good read. Please add my name to the drawing. I love historical fiction - all across the board. Can't say I have a favorite author, but Dan Walsh's The Unfinished Gift was a recent favorite. I do enjoy historical fiction. One of my favorite authors is Gilbert Morris. I love historical fiction! My favorite authors are Cathy Marie Hake, Kelly Eileen Hake, Tracie Peterson, Lori Copeland, Mary Connealy... just to name a few. Please include me in the drawing. Thanks! I like historical fiction. My favorite would probably be the William Monk Victorian series by Anne Perry. 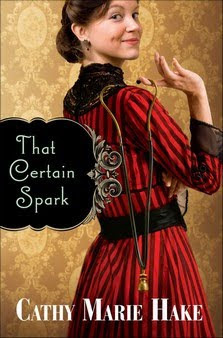 I love historical fiction~I think my favorite author is Elizabeth Chadwick! I love historical fiction -- in fact, right now I'm reading a book called Homeland which is historical fiction set during the Civil War. It's very good so far! I love historical fiction. Don't know that I have just one favorite author...Liz Curtis Higgs does a great job, Lori Wicks and Brock and Brodie Thoene do a wonderful job too. This books sounds great. Thanks for the opportunity.